Nepal’s stature at the international level happens to be one of the key trending topics in the recent times when it comes to small nations undergoing rapid transformation. As a process, Nepal has made major strides in various fields and is gradually graduating to the next level of development in line with the global Sustainable Development Goals (SDGs). 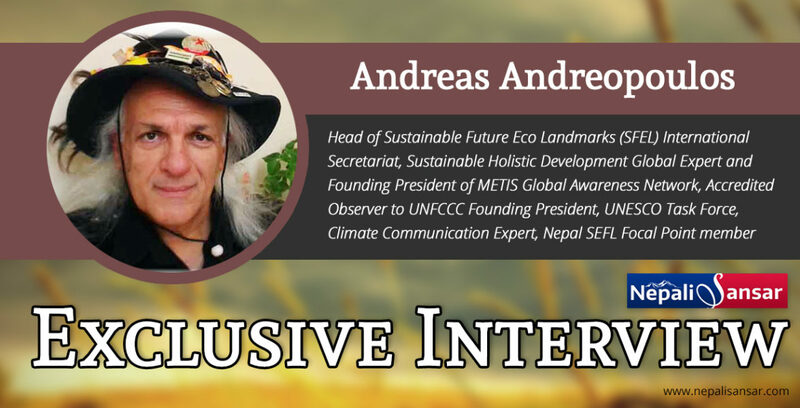 In an interview with the Nepali Sansar Bureau (NSB), Andreas Andreopoulos, Head of Sustainable Future Eco Landmarks (SFEL) International Secretariat, Sustainable Holistic Development Global Expert and Founding President of METIS Global Awareness Network, and analyst of applications of communication, M.Ed. With a substantial contribution by Kamal Parajuli, Nepal SEFL Focal Point member shared his views on a wide range of issues pertaining to Nepal’s developmental status and the path towards sustainable development. Q1. Nepali Sansar Bureau (NSB): How do you see the current state of development in Nepal and its way ahead in line with UN Sustainable Development Goals (UNSDGs)? Andreas Andreopoulos: I see it as a disruptive and challenging equation! Two main factors characterize Nepal’s development so far: Least Developed Country (LDC) signed by UN; and four maps for Sustainable Future Eco Landmarks’ (SFEL) strategic consideration: 2015 earthquake locations; UNESCO 19 World Heritage monuments; more than 20 large-scale infrastructure projects within Belt and Road Initiative (BRI) framework; and 2017 flooded areas and districts. Α puzzle to be solved by its people’s hard work, international support and, in case of interest, with the contribution of innovative projects like SFEL, a global investment initiative promoted by UNSDGS and United Nations Framework Convention on Climate Change (UNFCCC) to overcome institutional and administrative obstacles, and issues pertaining to public distrust for a break­through innovation through sustainable development, proper stakeholder training, effective management of a permanent exhibition center for clean technologies, enhancing monuments promotion programs with virtual reality tours and hosting UNSDGs hot spots. Nepal’s developmental dynamic status has all the typical elements of a yesterday’s problem-to-be-solved by young, active citi­zens of tomorrow who are, at last, already here. Strengths: Rare natural (mountains, hills, valleys, plains, water resources) and cultural assets (cultural heritage; innovative tradition, sustainable tourism perspectives). Weaknesses: Fragile governance; young de­mo­cra­cy and un­der­de­ve­lopment. Opportunities: Global development initiatives (UNSDGS and Belt & Road); World Bank and Nepal already sign­ed three agreements totaling USD 440 million; neighboring goodwill global powers and international cooperation under flourishing. Threats: Rapid, but unsustainable urbanization; fertile farmlands are converted to residential areas; local communities’ infrastructure at stake and na­tu­ral disa­sters of past and future. Beyond belief, SFEL has integrated all these in its strategic planning and decision-making in advance. Additionally, SFEL ‘Sustainable Homeland 7-step reset tool’ is ideal for Nepal. Q2. NSB: Climate change is one of the key aspects that the world nations are discussing in line with the Paris Agreement. What developments you notice in case of Nepal, considering the country’s vulnerability to climate change? Andreas: At last, international discussions are over and action has started after the planet has experienced the hottest four years in earth’s recent history. Nepal is the fourth most vulnerable country with proneness to a panorama of disasters (earthquakes, floods, landslides, soil erosion, disease outbreak, among others). Besides, temperature has also risen, rainfall decreased, ice reserve decreased by 30% with possibility of rise in Gla­cier Lakes Outburst Floods, and on the other hand, one of the least contributors to the emissions of Greenhouse Gases (GHGs). Useful to remember, Nepal is also eleventh most earthquake-prone country in the world-indirect climate change side effect. One could argue Nepal climate change concerns would be more difficult to be solved due to underdevelopment. Not quite so, it could start from scratch and is always more expensive to repair. Attack is the best defense! Organized methods vs. fragmented policies; systematic Sustainable Development construction vs. disconnected adaption and mitigation measures; climate change mitigation and resilience should not be one of the major stra­te­gic pil­lars anymore, sustainable development should be instead. Climate Change Knowledge Management Centre should turn to Su­s­tain­able De­ve­lopment Construction center for a wider horizon to be developed. A January 2018 report mentions blended finance as the key to tackling climate change and achieving the global sustainability goals’ – something SFEL promotes years ago. Q3. NSB: How do you find Nepal’s commitment under Nationally Determined Contributions (NDC) to the United Nations Framework Convention on Climate Change? Andreas: Basically, all countries’ NDCs are more or less promises. Writing down commitments is a good start and strong will to implement them is positive element. The road to hell is paved with good in­te­n­tions, while lack of resources is the norm. More than 30,000 community-based water resources, local infrastructure and forest management groups (coope­rative societies) across Nepal are directly engaged in managing about 30 percent of Nepal’s total forest area, serving more than 6 million members (more than 50 percent of them being women) and mobilizing nearly Rs. 300 billion of financial resources. This is the real capital, undoubtedly the most important one. Commitments on paper period is over. There is an ongoing global game in the cognitive play field to conquer citizens’ mind: Slow development due to financial crisis, additionally delayed by climate crisis disasters, give global opportunities to populism, distrust to innovation, among others; this vicious circle has to stop spinning. UNSDGS and BRI are top cultural and development tools but, obviously, long-term oriented. Being glo­bal, they remain invisible to billions of people. Transformation agents, game changers need quantum leap platforms to persuade people. Holistic paradigms are in search, connected with direct benefits satisfying everyday gaps. SFEL as a business/entrepreneurial oriented initiative focuses directly to implementation. Implementing the overall scheme in virtual form, but in close and constant collaboration with local community, stakeholders realize the positive perspectives enhanced by training which offers immediate support to local financial needs. During this procedure, glo­bal resources in­cluding finance, technology and experience could be mobilized to address climate change challenges and global partnerships could be formed. Nepal could achieve ecological and financial sustainability by focusing on small-scale projects. Q4. NSB: How do you find the reforms, policies and overall governance in Nepal? How inclined are they being to the international development agendas? Andreas: Despite significant efforts to ensure good governance, Nepal still ranks relatively poor in terms of overall transparency, accountability, integrity and rules of law situations-its score being 3 (out of 6) against transparency, accountability and corruption in public. Global partnership for de­velo­pment, was desperately underachieved at all levels. Additionally, I often hear about lack of transparency and accountability from leaders towards the nation and its people. State resources are plundered by those near to political parties. Prosperity can only be achieved with equality and access to resources for all. However, with local, provincial, and national elections in 2017 in hand, a rare, if not unprecedented, bottom-up procedure within new constitution framework, things could change. However, new government is yet to assume office. One voter during recent 2017 elections told the Washington Post “Democracy is happiness, and happiness is roads.” Many Nepalis have been suffering for years and it’s clear that what they want more than anything else is stability and an increased investment in economic development. As far as I learn, a civil war ended by establishing a People’s Republic; the country endured 22 governments in 25 last years; over and above, a major earthquake has been fol­low­­ed by a trade blockade in the Southern border and floods. But, Nepal has been proved ‘too hard to die‘. A calm but decisive period would be expected to tidy up the mess with a little help from close neighbors using ef­fe­ctiv­ely-tested fo­reign policy methods (e.g. tripartite approach). Leaders hope Nepal-India relations will reach new heights. My humble opinion is that there is no reason whatsoever to compare with other countries, better to compete with our own potential. Q5. NSB: Smart cities and urban planning, renovating heritage sites, adding new energy projects, building new airports, among others indicate a booming infrastructure development in Nepal supported by Public Private Partnership (PPP) and foreign investment. How do you look at this aspect? Andreas: There are several master plans in infrastructure, particularly in transport, housing and urban development, among others. These plans and policies can be retrofitted with SDGs and targets refined to meet the 2030 outcomes. Policies and strategies in the areas of sustainable production and consumption, inequality, employment and social protection also exist, but they are fragmented and lack synergic approach. Nepal is rapidly urbanizing with current urban population growth at 3.4 percent per annum remaining nearly three-fold the national population growth. Besides, the government has been announcing new municipalities in a large number. So, urban infrastructure to newly-announced municipalities would have to start from almost zero. Besides, the human settlement damaged by the recent earthquake has to be rebuilt. Besides a boom of interest in the first place, five different ministries of the Nepal Government have also submitted names of 22 projects that could be built under China’s Belt and Road Initiative (BRI), perfect as a starting point. Along with that, the World Bank with USD 440 mil­li­on support, UNSDGS, initially represented by new born SFEL initiative, and many more follow via UN Environment Finance Initiative. Major step here is not quantitative, it’s qualitative: what we have here is not the ‘what‘ but the ‘how‘, a smart handling of ‘how‘ would make the difference not only locally but also in­ternationally. UNSDGS would reach 2030 and BRI perhaps even beyond, Nepalis would prefer to see prompt results. Here comes pa­ra­digm’s importance, the mobilization of 2-3 territories about a project, and the private sector would then show strong interest. In a country of the size of Nepal, there are business entities like Chaudhary Group which could leverage huge finance from abroad. New government could mobilize all potential resources. Q6. NSB: In line with the changing environment, Nepal is making major strides towards going digital, as evident in pitching for digital TV broadcasting, introduction of technology-driven services across sectors, among others. How do you look at this innovative transformation? Andreas: Nepal is going really digital. Yes! Technology-driven services across sectors is magnificent and this is exactly what SFEL is applying. There is only one way to get out of underdevelopment: using technology having as epicenter nature preservation with human being a responsible member of nature’s community. IoT to be used for smart farming without the need to re-educate farmers for that. On the other hand, data revolution has to go hand-in-hand with a kind of cultural revolution of significant magnitude to bridge the gap between smart cities, chau­padi and child marriage eradication; technology would be of help here as well, do not forget apps! On the other hand, digital TV broadcasting in an era TV is losing its glamour is not something pukka interesting. Core point is always content and what would be the need of digital signal transferring ‘medieval’ content and on the top, forcing poor people to install expensive set top box just to watch it? At the same time, due to ever-lurking natural disasters, a system of elementary specifications e.g. effectively-functioning national radio broadband system has to be developed to craft a robust communication system for emergency situations. Q7. 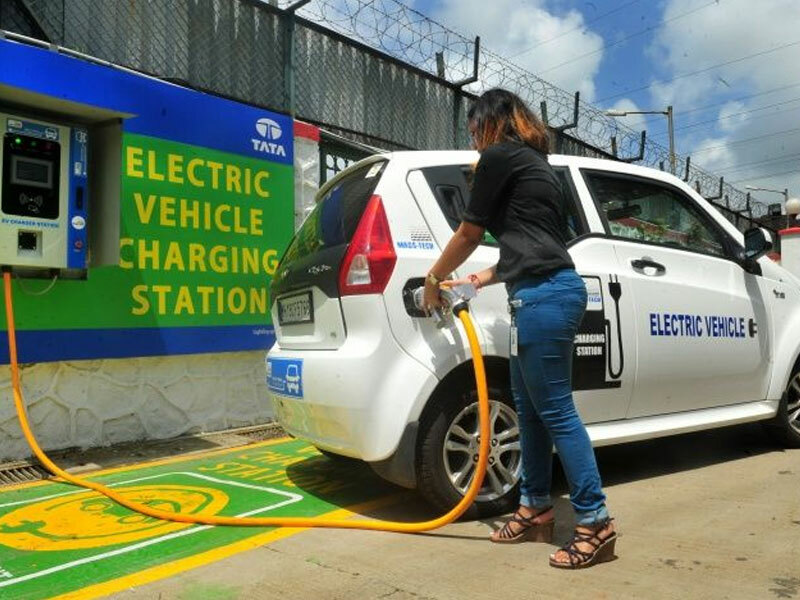 NSB: Nepal is keen on go green initiatives as evident in the implementation of no-horn policy in Kathmandu and planning to expand the same nation-wide, pitching for green vehicles and bio fuel usage, and encouraging renewable energy projects, among others. What’s your take on this? Andreas: Many developments are necessary, however they could not be implemented all simultaneously in real life. Potential culture shock would lurk to destroy even the most important initiatives. Respecting priorities is the best policy. Priorities of financing, time, human resources, but most of all ideas, one step at a time. Impatience never offered a good service. User Groups, particularly, in natural resource management such as water and forest are also active in mobilizing community and local resources, and have been instrumental in empowering people. The Cooperative Societies have drawn their slogan for the year 2017 as Cooperatives for Achi­e­ving SDGs. Nearly half-a-million people participated in the Cooperative Day rally on April 02, 2017 with slogans of ‘cooperatives for sustainable development’ to show their solidarity with other stakeholders in SDGs implementation. Ag­robiodiversity conservation and use has become a part of regular program. Also, community seed banks are being promoted in no­dal locations of the country. Stakeholders could get together to contribute in the renewable bu­si­ness, mainly solar power. Expensive dam would only make sense if it is meant for water storage and sale; India is short of drinking water. So, Nepal would need to talk with India for generating revenue from water. India could also need Nepal’s hydropower potential to reach target of generating 175 GW of solar power by 2022. Q8. NSB: What are the key domestic sectors with strong investment and growth potential that can ensure good Return on Investment (RoI)? Andreas: Unique products and services ensure high RoI. Sustainability products & services (sustain­able tou­rism – not only local tourism’s feature, but also innovation and tradition leverage; tourists’ origin and thematic forms differentiation; new technologies business tourism from India – China; but also by shifting Nepal to a neutral venue for sports, negotiation and dispute resolution between these two global powers – but this is another story. Sustainable de­velopment turnkey solutions with modular features; sustainable development capacity building). Sustainable develop­ment: Not only country’s perspective, but also a product to export. Key element and win-win-win cooperation platform: As several of SDGs are capital-intensive, they require a credible financing strategy inclusive of the government, private sector, cooperatives, NGOs and development partners. All dominant players are necessary. As the SDGs encompass diverse set of outputs and activities, they can be financed by multiple sources. The government can fi­nance them through public investment program at all the levels. Households, who can afford, can finance them in the form of out-of-pocket expenses. NGOs, cooperatives and community sectors can finance some of the SDGs through resource mobilization at the community level. Agriculture: Emphasize resource allocation to agriculture for a country like Nepal, where agriculture is not only a source of food security, jobs and poverty reduction, but also a means of socio-economic transformation. Nepali economy is dominated by agriculture. In the late 1980s, it was the livelihood for more than 90 percent of the population (today remains the same), although only approximately 20 percent of the total land area was cultivable, it accounted for, on average, about 60 percent of Nepal’s GDP and approximately 75 percent of exports. Water Resources: Take exponential advantage of country’s unique water resources. Nepal is one of the most water-abundant countries in the world with 6000 rivers, total mean annual runoff of 224 km3 and per capita water availability of 9000 m3. However, Nepal’s hydro­logy is pri­­marily monsoon-driven with 85% of rainfall in June-September has de­ve­loped less than 2% of its hydro­po­wer potenti­al. If this potential would be developed sustainably in co­ming de­ca­des, it could revolution­ize na­ti­on’s economy. Electricity can be sold to en­ergy-hungry neighbors, India, Ban­g­ladesh; multi-level energy efficiency standalone systems; share of re­new­ables in smart power mix. Rationale to be followed: find ways to decrease demand, not ways to increase energy production. SFEL Value Proposition: Live mechanism monitoring earthquakes has to be developed with technology transfer for NO VICTIMS system; 3D printing house earthquake-proof; not just anti-flood measures, harvest water power from floods need to be developed; decentralized emergency hotspots with least, but vital necessary provisions combined with training for all; autonomous earthquake/flood risk free communication system (back to the basics). Q9. NSB: Considering the demand Nepal holds across various domestic sectors’ what projection do you have on Nepal’s investment and infrastructure potential for 2030? Andreas: The word is ‘exponential’ and the prerequisite is one: Political stability with smart investment balance between direct needs and long-term expectations e.g. house-building and railways. Nepal is one of the most water-abundant coun­tries in the world with 6000 rivers, total mean annual runoff of 224 km3 and per capita water availability of 9000 m3. However, less than half of the population has access to safe drinking water. This is the top domain potential for both local development and export. Nepal could change the face of Asia. Water, tourism, etc vertical management: what would mean water for each one of the 34 human activities? What means tourism within same perspective? This is how sectors have to be dealt with. Same with building, satellite cities planning, cultural and religious heritages sites restoration. I distinguish three… sandwiches on the table: Country’s unique location – being sandwiched between two important regional & global powers – India and China; the governmental one (previous, care-take, future); the timeline one (deficiencies of the past, actual reality, future challenges); careful taking care of all three would feed the ‘hungry for development’ people. All three could offer Nepali people maximum advantages; UNSDGS is here to support; BRI is waiting for proposals. All would focus on LDC graduation target by 2022. Q10. NSB: Participation at the 72nd UNGA Session, presenting at the International Conference on Snow Leopard Protection, winning UNHRC Candidature, signing of Nuclear Treaty, among various key developments. How do you find Nepal’s progress on a global scale? “My SDGs, My Responsibility: A ‘Youth Guide for Sustainable Development in Nepal’ prepared by Yuwa, a Nepali youth organization, with 17 case studies featuring prolific youth activists and entrepreneurs; ‘De­stination Nepal‘ programme organized in New York, among others. Human Rights Watch (World Report 2018 Nepal: Tran­sitional Justice, Accountability Stalled) states some negative points; etc. Achievements above are great but still abstract to earthquake victims who still have to live under tents. Aid need to be disbursed effectively and ASAP. Progress in general, a questionable concept now-a-days same as growth, is a continuous pendulum. There are 34 human activities, more than 30 modern societal priorities, more than 40 Humanistic Awareness parameters and more vital elements included in SFEL Social Matrix Revealed capacity building program promoted by UNFCCC. All these indices should be monitored and relevant initiatives should be taken with preference to local particularities; this is a very effective way to support progress on a global scale, with original added value. Best of all: “Once one takes into consideration the whole world, one becomes the center of the world – sooner or later” – Unknown. SFEL is offering this opportunity to Nepal; once locally imple­mented, it could be exported. SFEL focuses to make UNSDGS paradigmatic lo­cal business in the first place and then interna­ti­onal business based in Nepal. Q11. NSB: Can you brief up UN’s take on ‘New Nepal’ in terms of key indicators such Culture, Innovation, Sustainable Development, Law and Governance, Economic Development, Preserving Heritage, Ease of doing Business, Engaging Stakeholders, Mitigating Climate Challenges among others? With regard to Culture, Nepal is a hidden treasure for its population and the whole world. I look forward in welcoming – neither massive tourism clients for climbing or watch various Helen Kellers climb nor even sustainable tourism followers, but culture pilgrims here in the roof of the world instead. Chaupadi vs. Smart City; great potential (water resour­ces etc) vs. third highest rate of child marriage in Asia; target to free 99 percent of the communities from open defecation. Law and Governance: Political stability – NO MORE, NO LESS. Economic Development: Not to lose a chance: There are all kinds of opportunities appearing literally every day, e.g. the new insurance scheme has been launched to help poor people (women farmers and their families) in Africa and Asia (droughts in Kenya, Malawi, Mali, Zambia and Cambodia and tropical cyclones in Myanmar) deal with the challenges arising from climate disasters. Shouldn’t Nepal be included? Preserving Heritage: Shifting monuments to autonomous SD global players; offering substantial support and an additional shield in buffer zones with Green Real Estate Development against polluters, traditional developers, looters, bombers, and the ravages of time. Ease of doing Business: Entrepreneurs are simply those who understand that there is little difference between obstacle and opportunity and are able to turn both to their advantage and let the state support them. Engaging Stake­holders: Via paradigmatic tasks on local, regional and national levels. The important point is how you tackle with all these areas! That is why I have kept Sustainable Development last; it includes them all: The government has prepared a LDC graduation strategy paper which indicates Nepal’s prospects for achieving the target by 2022. However, the more underdeveloped a country is, the more difficult is to follow conventional methodology with goals, sub-goals, evaluation studies and all costly and time-consuming ways; it simply needs a quantum leap or, rather a series of quantum leaps. In an attempt to make a comparative study of UNFCCC NDCs, the minimum requirements to pass from LCD to the higher classification and adjustment to SDGs is to contribute for the global good one could easily realize that a creative compilation would be much preferable. Even this compilation would not be enough. SDGs are comprehensive, am­bi­tious and challenging goals, and require huge resources as well as capacity enhancement to achieve them. But, they have got only a single major disadvantage i.e. implementation deadline of 15 years. Every day people couldn’t wait that long; she would have forgot­ten the whole thing or hate it because for a decade or more development of any kind was practically on hold. So many things to be done, so little time, few money, limited resources, indifference if not suspicion… So, what? SFEL quantum leap proposal: Most, if not all, ideas described in SDGS Report and NDC 2016 should be (and they are indeed) included in one package to be implemented ASAP; by introducing virtual form to implement Sustainable Development actually pro­­poses ‘measure seven times, cut once!’; In the newly-introduced virtual / AI ecosystem, we have the alternative to skip traditional expensive practices; try and error method is used instead. To shift the vicious circle to a virtuous one, one should find a starting point. In Nepal’s case, this point could be a unique product to attract international attention. ‘Everest’ equivalent in investment domain could be Sustainable Holistic Development infrastructure model, e.g. 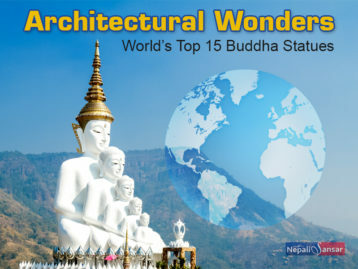 SFEL, covering a large portion of Kathmandu Valley with some million habitants, including several UNESCO Monuments; a permanent exhibition of global high-tech industries with direct benefits for local stakeholders. Project’s visitors would be tourists, professionals, locals, students and farmers from across the country. SFEL implementation areas’ attunement with large-scale infrastructure projects could be country’s leverage within BRI frame­work as paradigmatic applications. SFEL could be a leverage for many highly-skilled Nepalis expatriates to come back for employment op­portunities located beforehand. Fragile democracy can shift to antifragile modern state in each one domestic sector, which is not difficult in Nepal as here many things still go the nature’s way. It is easier for antifragile measures to get conceived by wise native leaders of public and private sectors, become adopted by the administration and embraced by the citizens. However, this antifragile shift is another big story. Sorry, but being the Ecological Civilization Chief Storyteller, I can’t forget most of human modern life is still based of ancient myths and will remain this way forever; Yeti is not just a threat but something everyone longs to meet in life expecting, at the same time, to get away safe and with the experience intact. This is also the global bet now-a-days to use the modern Yeti (technology; AI; whatever the name is) on behalf of nature ecosystems and human habitat.